The mother of a newborn baby girl, Mousami, in Haryana has become the first beneficiary of the Ayushman Bharat Scheme in the country. 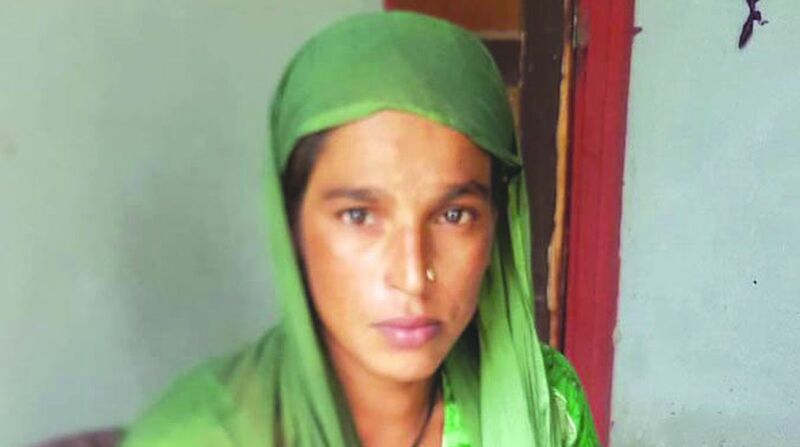 The first claim was released to Kalpana Chawla Government Medical College Hospital Karnal where Mousami, a resident of Ghisarpuri village, Indri of Karnal district, underwent caesarian section and delivered a healthy female child on 17 August. Her golden card number PUEICYQA3 under the scheme was generated on 15 August, 2018 on the same day when she was admitted in the hospital with labour pains. With this, Haryana is the state to treat the first patient under Ayushman Bharat Scheme in the country and claim amount has been paid to the treating hospital on 31 August. The Chief Minister Manohar Lal Khattar has urged all stakeholders to associate whole heartedly with this healthcare initiative so that beneficiaries avail benefit under the scheme. The CM directed to ensure that sufficient stock of required medicines is available in these hospitals so that patients need not purchase it from outside. The state government launched and opened the Ayushman Bharat-Haryana Health Protection Mission in the state from 15 August, 2018 to provide cashless and paperless healthcare treatment facility to the eligible beneficiaries in the empanelled government hospitals of the state. On pilot basis, the scheme was implemented in one government hospital each in all 22 districts, one ESI hospital and Medical College Hospitals. As many as 15.50 lakh families including 925014 rural households and 626761 urban households figures in SECC 2011 database is entitled to claim benefit in Haryana. There are total 1350 treatment packages out of which 276 are reserved for Government hospitals. The Pradhan Mantri Jan Arogya Yojna was announced by the Prime Minister, Narendra Modi on 15 August, 2018 on pilot basis. Haryana has been the first state across the country to launch the scheme in district government hospitals along with ESI and Medical College Hospitals across the state. The state envisages to provide maximum benefit of the scheme to all the entitled beneficiaries by generating golden cards for them. The state government has set up a Call Centre with mobile number 6239504471 and 6239504472 to provide assistance to general public with regards to queries on the scheme. Ayushman Mitras have also been appointed in all the empanelled hospitals to help the beneficiaries till the final stage of processing of claims. Under the Ayushman Bharat-Haryana Health Protection Mission, the identified families under Socio Economic and Caste Census (SECC) would be provided benefit coverage of Rs Five lakh. Every family figuring in the defined SECC 2011 database would be entitled to claim benefit under the scheme. Each beneficiary would be issued a card with a unique QR code and they would have to produce it in hospital they are visiting for treatment. The website of Ayushman Bharat-Haryana Health Protection Mission has also been launched. The public and private sector hospitals can apply online for empanelment under the scheme by visiting the website http://ayushmanbharatharyana.in. The CEO Ayushman Bharat Haryana Health Protection Mission, Dr Saket Kumar, informed that comprehensive scheme would be extended to private hospitals from 25 September onwards.